Hair Corsage: Made by me! 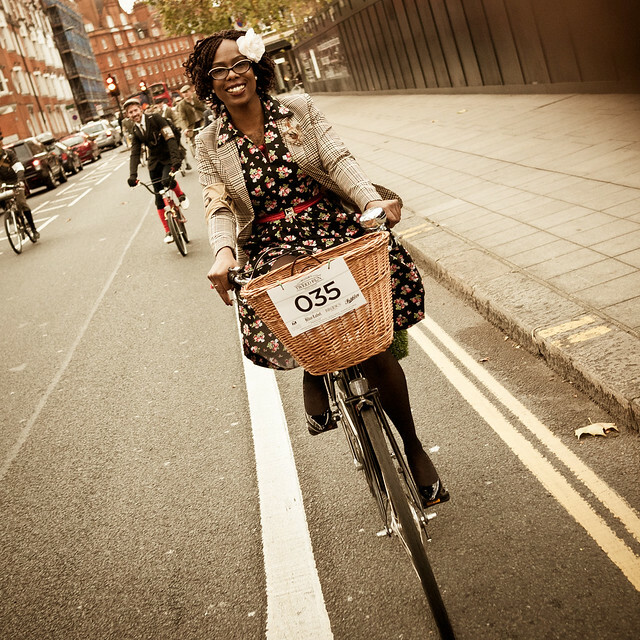 Once again, the Weather-Gods looked down on the event, as we were blessed with bright skies & crisp winter air for the day… if it had rained, I suspect there would have been a lot of damp Tweed cycling through London! 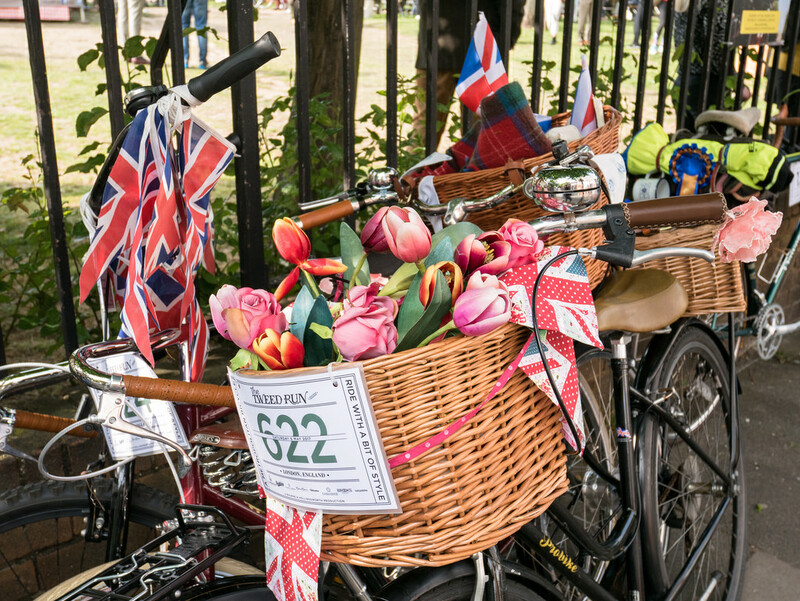 Arriving at the meeting point, we were greeted with a sea of beautiful outfits and bicycles. 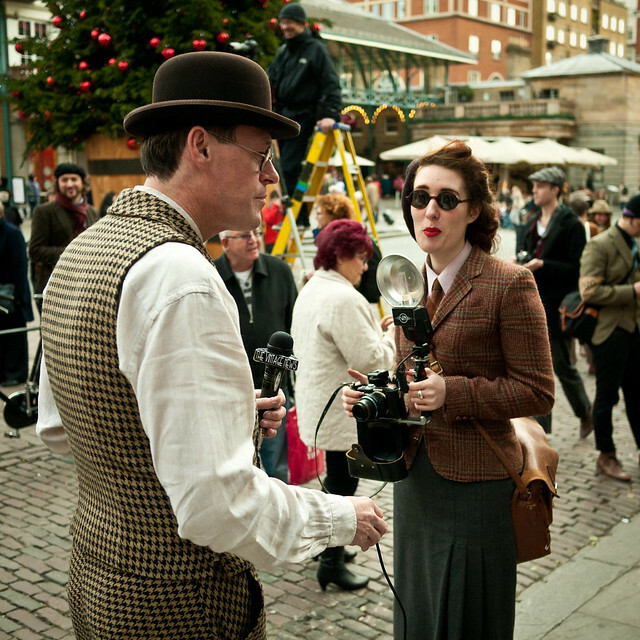 Being in Covent Garden, there was even more of a tourist-attraction element to the day, with many people pulling out cameras and phones, snapping away. The Tweed-Runners make for a rather dashing display, so I’m sure the tourists must have enjoyed seeing us! Ralph Lauren laid on breakfast for us all, which was a rather nice touch indeed. Men (who I’m sure were all models!) 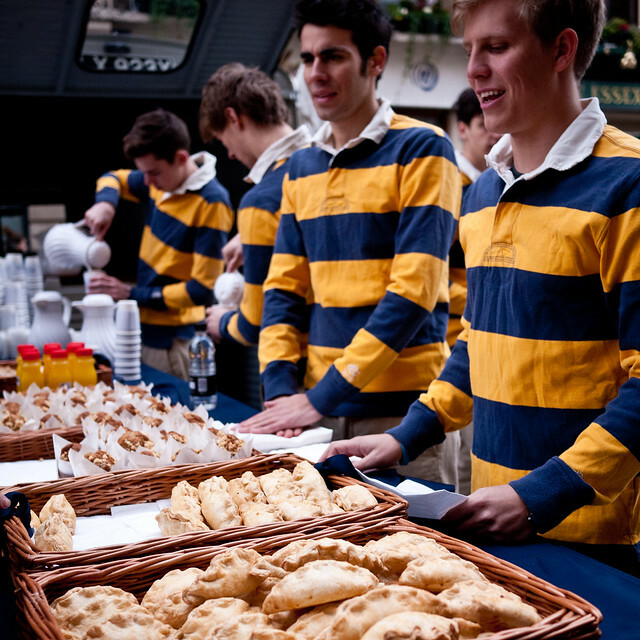 dressed in the Rugby RL colours were on hand to dish out savouries, cakes, teas & coffees to fuel us up for the ride. I must admit to being a bit too excited to eat my Muffin – there was so much going on around me, there was no room for an appetite to build up! 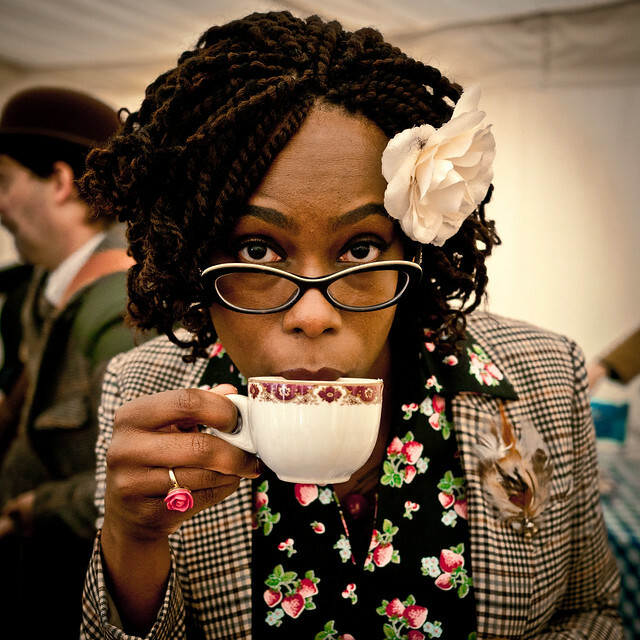 I loved her Brogues and bright Lipstick – sadly we didn’t catch her name! 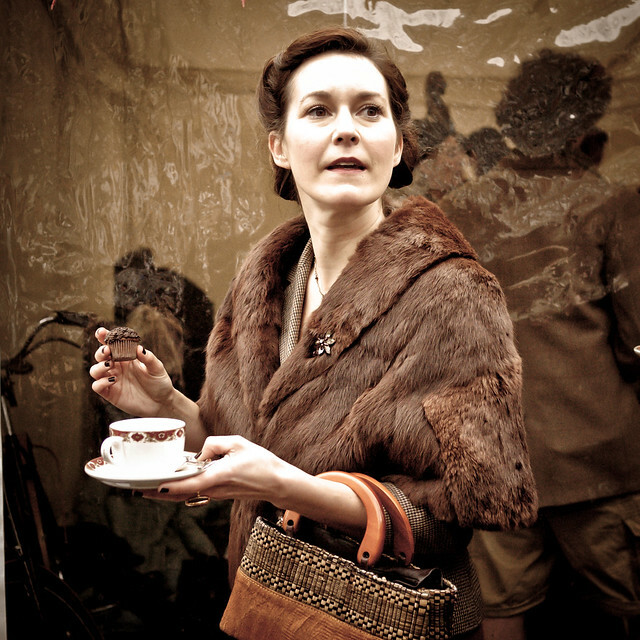 During the Tea Stop, I had the pleasure of meeting Fleur de Guerre, who is absolutely stunning and simply oozes elegance and grace! 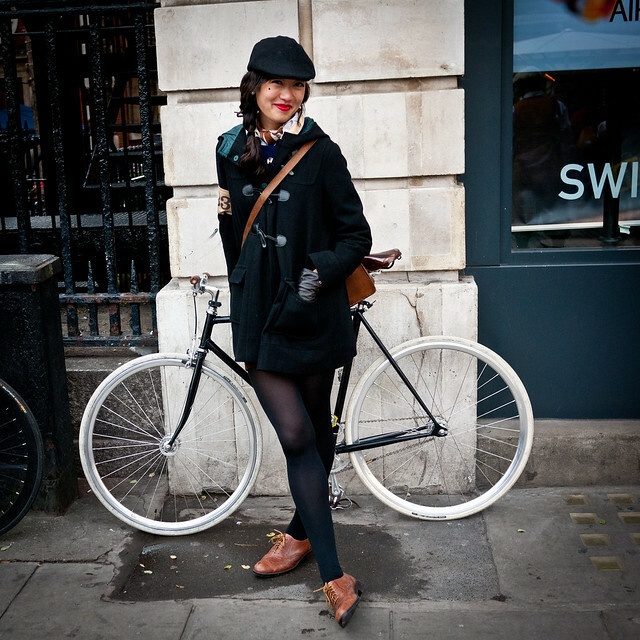 The kind of accessorising that I love – when your Pashley Matches your Outfit! 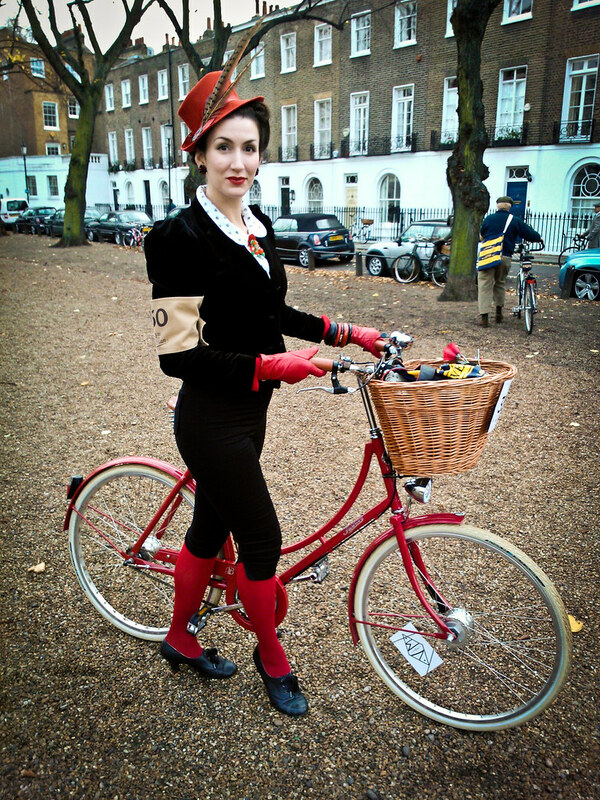 Fleur looked beautiful in her Ralph Lauren velvet jacket, H&M Blouse, Tarantula Clothing Capris & those lovely red leather gloves and tights! I must admit to having the nicest Hat-Envy…! 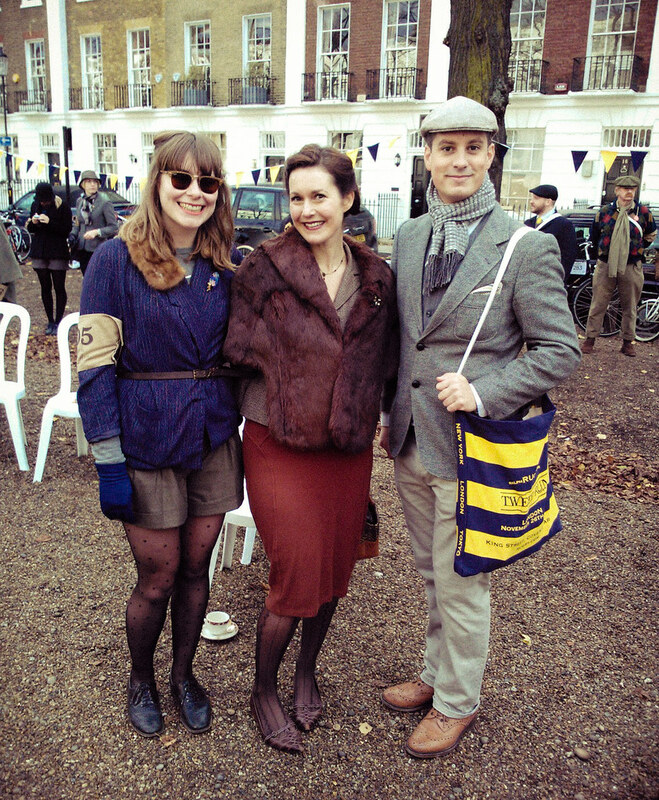 We finished the Tweed Run at the exclusive Caledonian Club in Belgravia. It was the ultimate luxury end to the day – an opulent members-only club, with some very expensive Whisky, Teas and live entertainment which was fantastic! 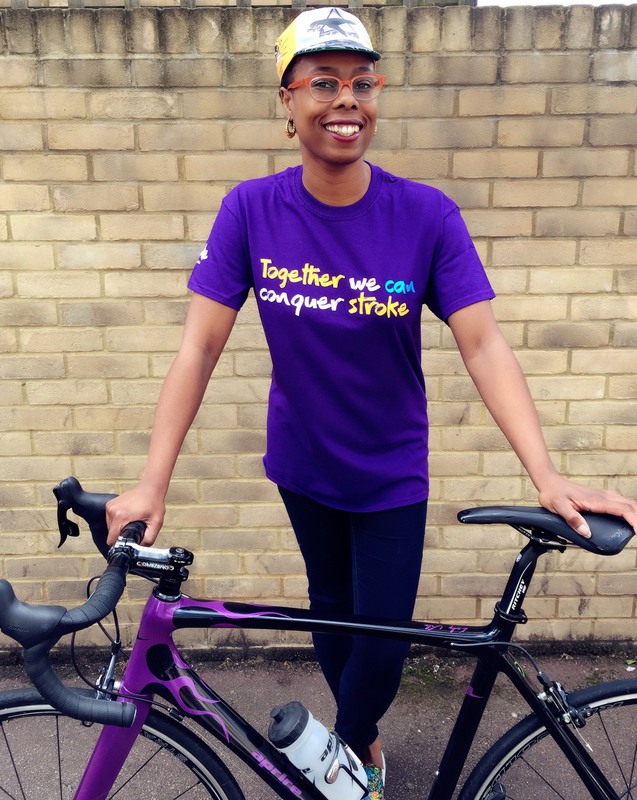 After attending the last ride in April and having a blast, it was fantastic to say hello and have a chat with one of the forces behind such a fabulous event. You can view more photos from the day on my Flickr Stream – again, a massive thank you to The Boy for being my brilliant Photographer for the day and for my blog! It was a brilliant day from start to finish, and already I can’t wait for the next one in April… is it crazy that I’ve already started thinking about my outfit for the day?! Pip-Pip! Wow, I loved this post. It all looks so amazing. I wish I was experienced enough to take part in the April one, maybe that will be my new year's goal? Does everybody ride pashleys specifically for the event or would I be too out of place in my more modern looking electra glide? 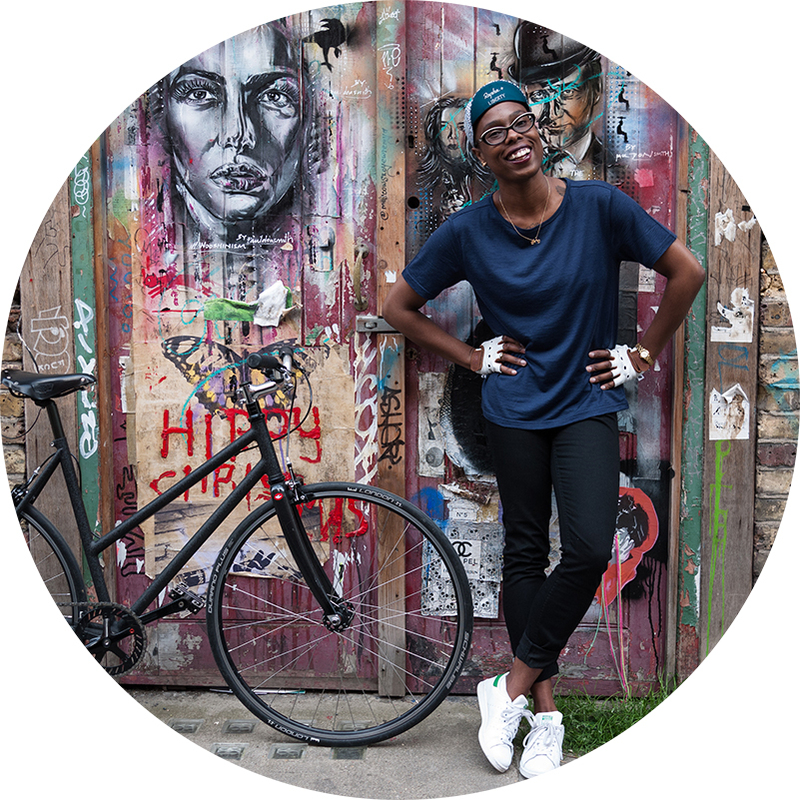 Found you through Fleur's page, I love your blog! 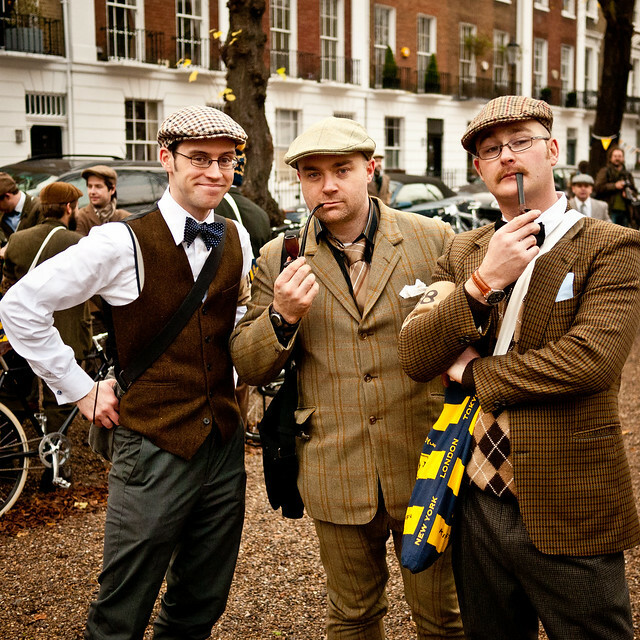 The Tweed Run looked absolutely splendid, I'm sorry I missed it! 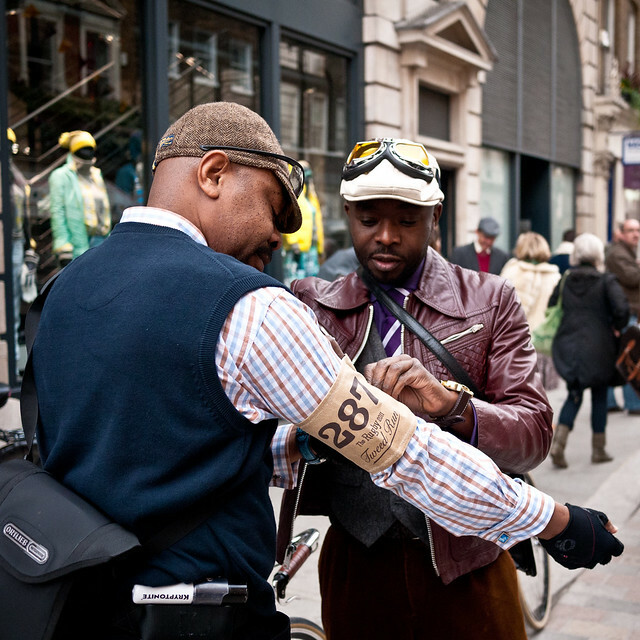 You have got the Tweed Run down. You look fabulous, of course! What a fun day. 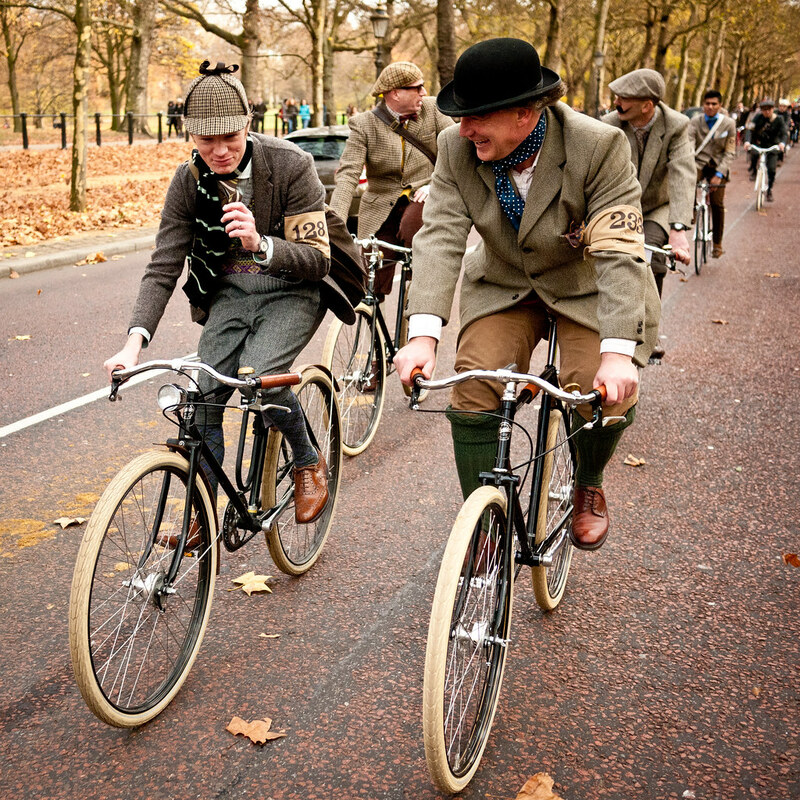 I really am thinking of making a trip one of these days so I can be in the Tweed Run too! 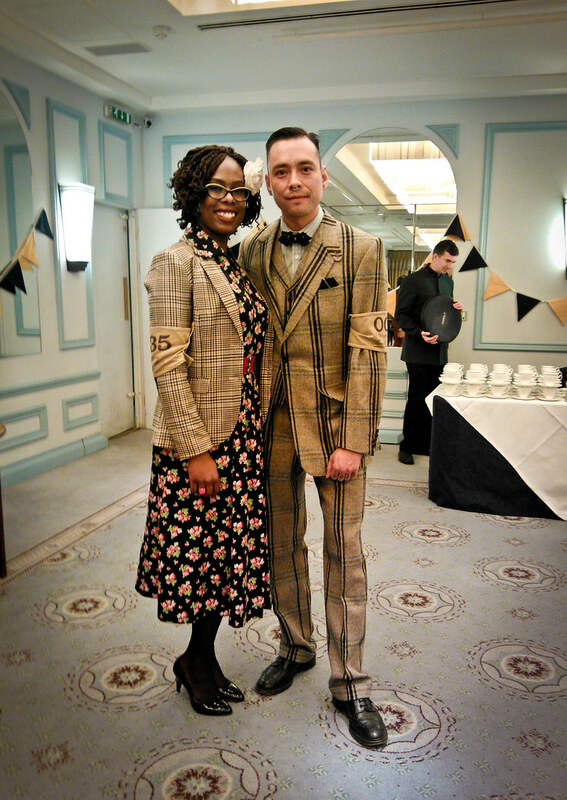 It was great to meet your elegant self, and I'm still buzzing after such a splendid day. Did you know the Johnny Walker they were dishing out costs well over a hundred quid a bottle? I made sure I savoured every drop as I may not get the chance to have it again, and did not swig it down! Fingers crossed we get a place for the next one in April! This post which is what blogs are all about – the chance to read about experiences that we otherwise wouldn't hear about. The enthusiasm for what you love radiates from the screen!A brilliant read! Ooh, you look stunning as ever. I am determined to go on the next one as i missed out on this one. 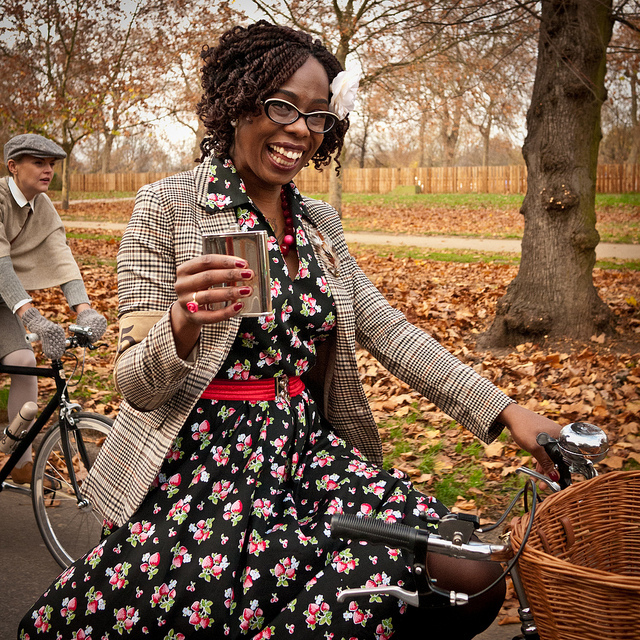 Looks like you had a wonderful time in beautiful clothes on beautiful bikes! Thank you all so much for your comments on this post – glad that you enjoyed reading it!